The physical environments of high-latitude systems are rapidly changing. For example, the Chukchi Sea has experienced increased water temperatures, advection from the Bering Sea, declines in sea-ice concentration, earlier spring ice retreat, and delayed fall ice formation. This physical restructuring is expected to impact ecosystem structure and function. In this study, a series of bio-oceanographic research surveys were conducted in the summers of 2010, 2011, and 2012 to characterize the physical environment and to examine the influence of physical forcing on zooplankton community distribution and abundance. Results revealed yearly advection from the Bering Sea influenced zooplankton community structure, but this influence became less apparent in the northeastern Chukchi due to changes in current speeds and patterns. 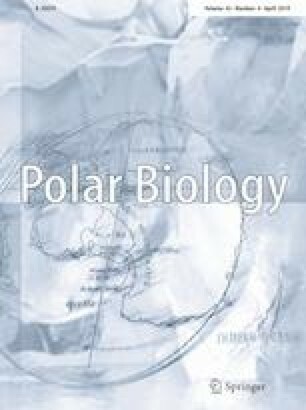 Decreased advection and later ice retreat in colder years resulted in zooplankton communities that exhibited more diversity, had higher abundances of the lipid-rich copepod Calanus glacialis, and were less closely related to water masses advected from the south. These findings suggest more localized processes are influencing zooplankton community structure in the Chukchi Sea. Increased inflow of water into the Chukchi is predicted with increased warming in the Arctic and changes in food-web structure and function are likely to result. The authors would like to thank Captian Atle Remme, F/V Alaskan Enterprise, Captian Fred Roman, F/V Mystery Bay, and Captain Kale Garcia, R/V Aquila, as well as all crewmembers. Special thanks also go to Catherine Berchok for her excellent leadership; Jeannette Gann and Esther Goldstein for taking the time to review the manuscript; Rebecca Woodgate for suggestions and sharing physical data; the Bering Strait mooring project; Sigrid Salo for help with ice data; Kathy Mier for data analysis tips; Polish Sorting Center for their hard work with zooplankton samples; and North Pacific Climate Regimes and Ecosystem Productivity (NPCREP) program for support. This research was part of the Chukchi Sea Acoustics, Oceanography and Zooplankton (CHAOZ) study that was funded by the Bureau of Ocean Energy Management (BOEM; Contract No. M09PG0016). The authors declare that there is no conflict of interest in presenting this information.